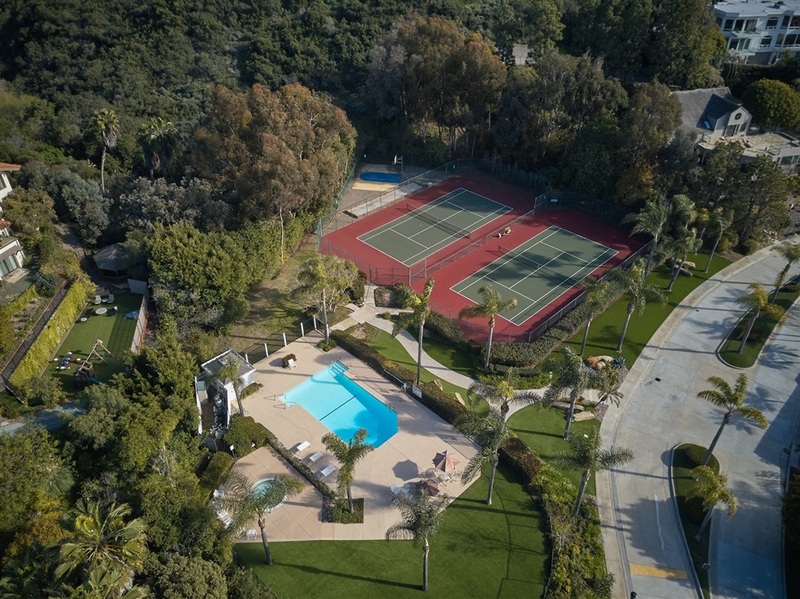 This glorious 5 bedroom, 8 bath home whose primary living spaces are all on 1 level epitomizes the ultimate in luxury living and is located in the private gated community of Montoro which boasts 2 tennis courts, pool and spa. 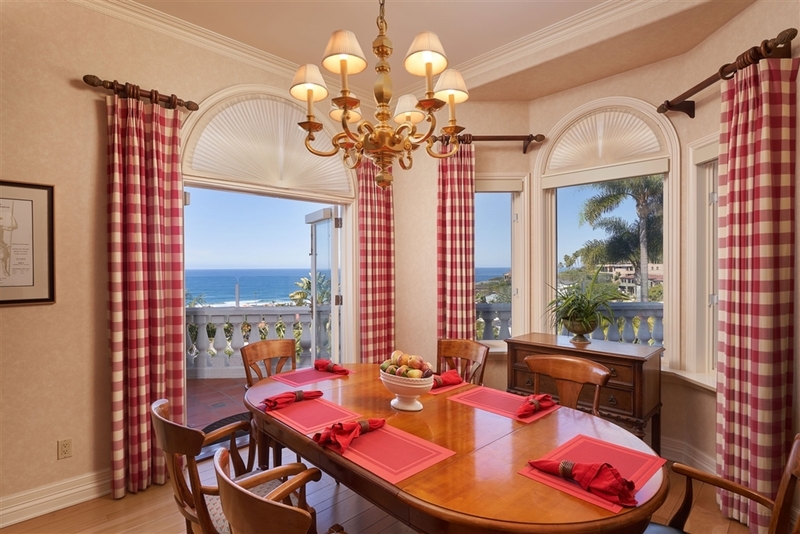 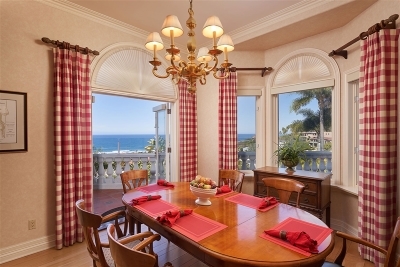 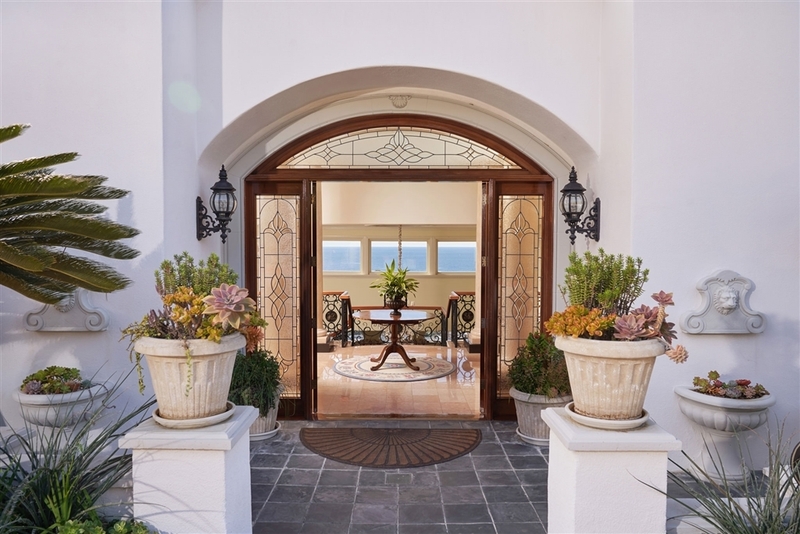 Experience California living at its best with multiple options for indoor/outdoor living and enjoy many ocean view terraces and patios accessed through French doors overlooking dramatic ocean views, the pool, outdoor kitchen and entertaining areas. You will be- see supplement, captivated by the sweeping staircase, grand master suite, formal living room, dedicated dining room, professional chefs kitchen and family room. 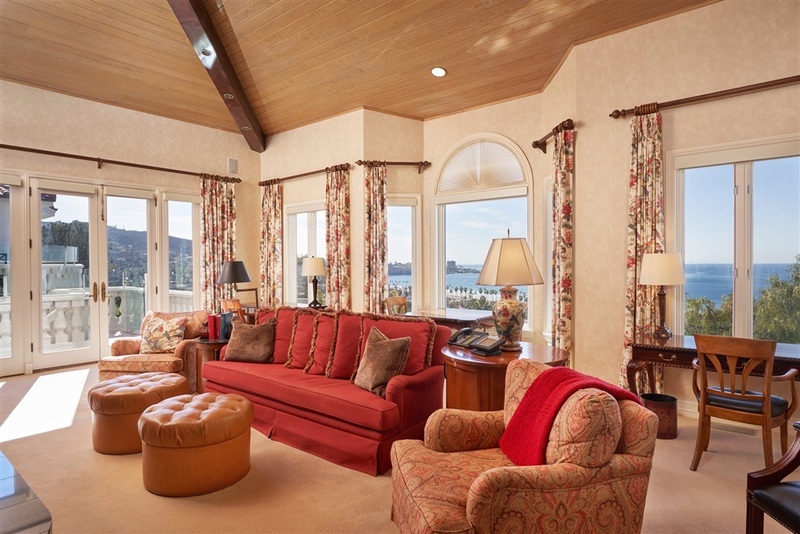 12 and 14 foot ceilings and the extensive use of skylights and French doors ensures a bright interior. 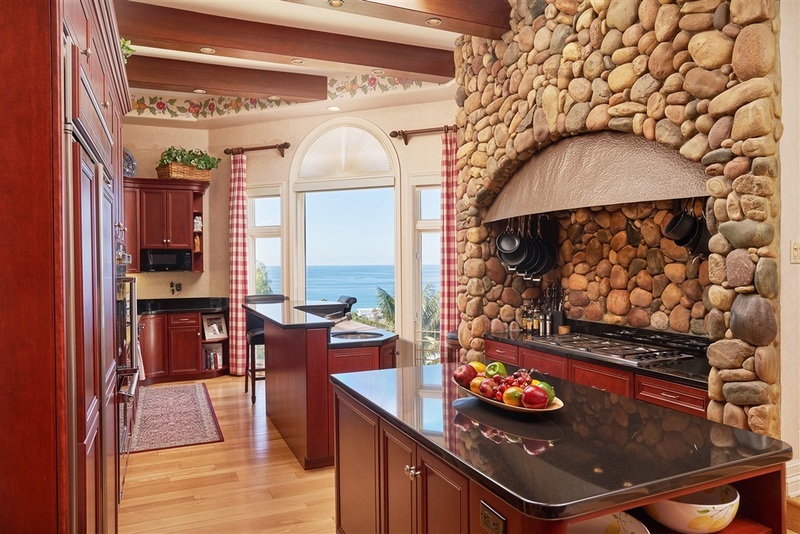 The kitchen is stunning with a custom copper hood, two island work centers and an elevated breakfast room. 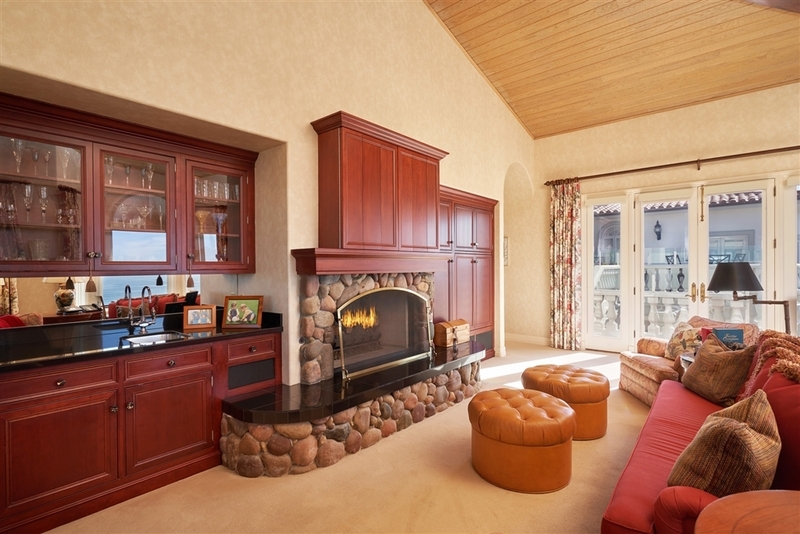 The adjoining family room features a custom riverstone fireplace and access to the terrace. 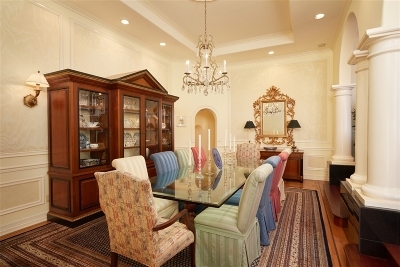 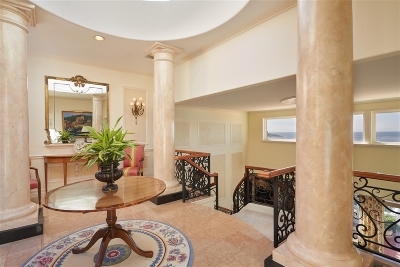 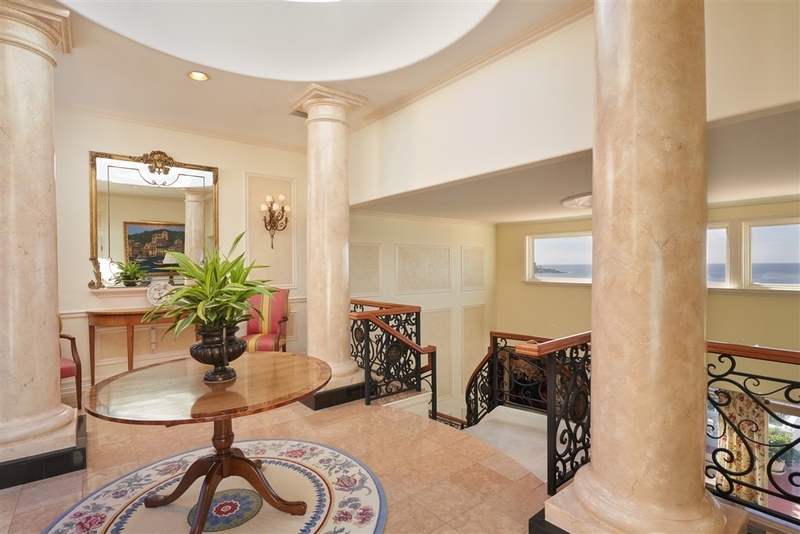 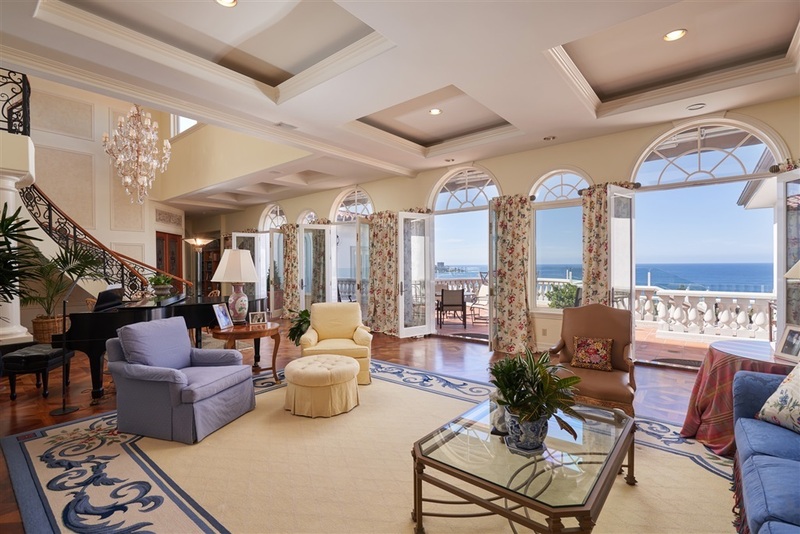 Exquisite features include imported marble flooring, hand detailed moldings and custom European chandeliers. 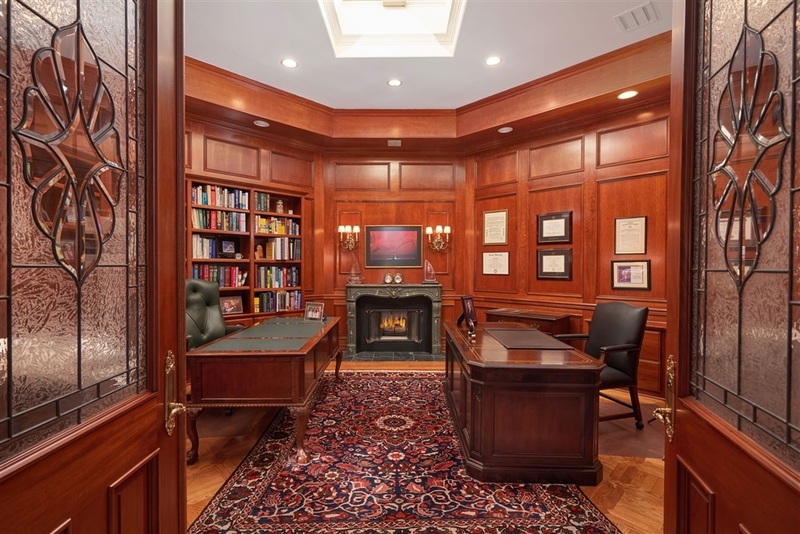 You will be impressed by the library with its cherry wood paneling, imported marble fireplace and built-in bookcases. 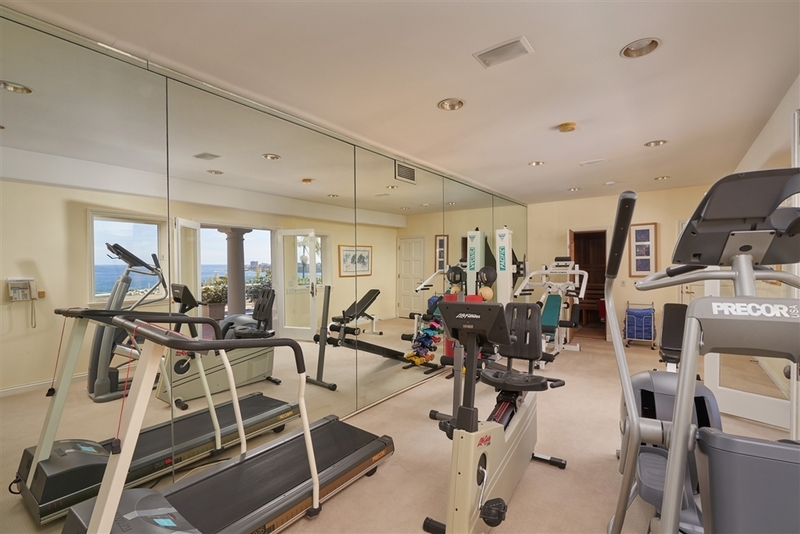 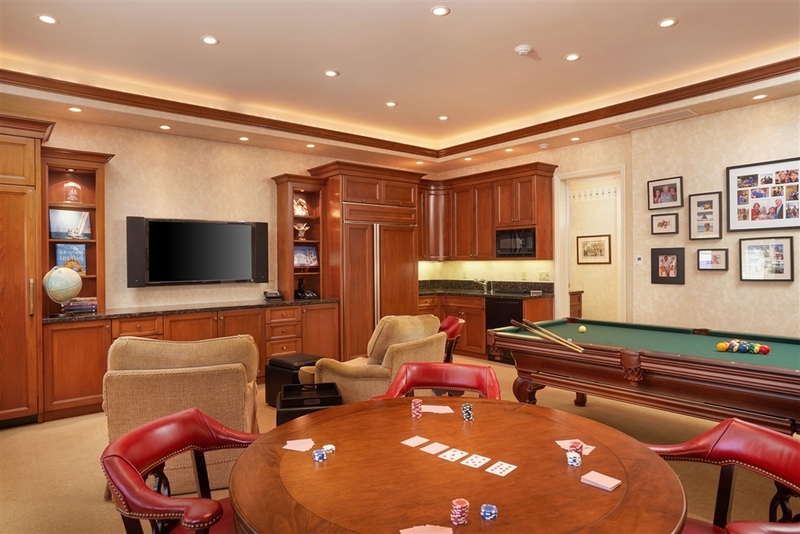 Additional rooms include 4 en-suite bedrooms, a game room, wrapping room, a large laundry room, exercise room, and sauna. 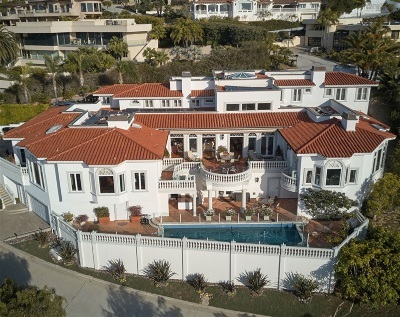 Additional features include 4 HVAC zones, 4 fireplaces, security monitoring, 52 solar panels, and 2-car garage plus parking for 3 additional vehicles. 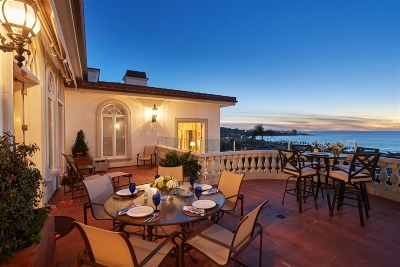 Walk to the ocean, shops, and restaurants of La Jolla Shores. 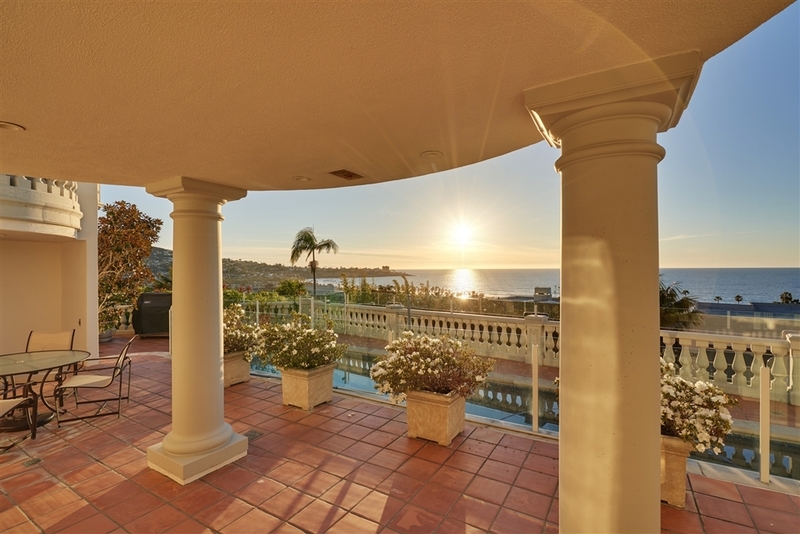 Enjoy easy access to north/south Hiway 5, UCSD, hi-tech/health related firms on Torrey Pines Mesa, the airport and top private/public schools.